Check out our event rental information packet here. Events using multiple spaces may be subject to discount. We have special packages for wedding rentals; for more information, please visit our SteamPlant Wedding Website. 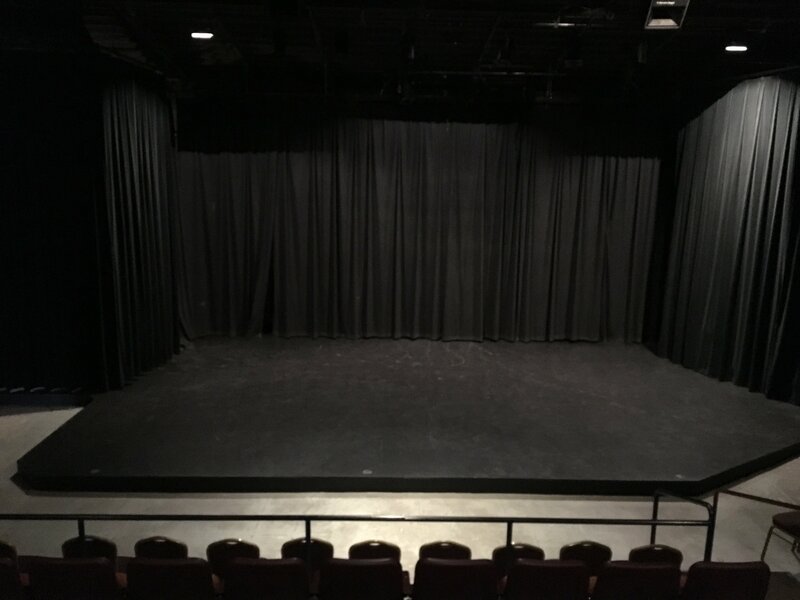 The SteamPlant theater is ideal for concerts, live theater and dance productions, movie screenings, lectures, and conferences. We’ve even had folks get married on our theater stage! 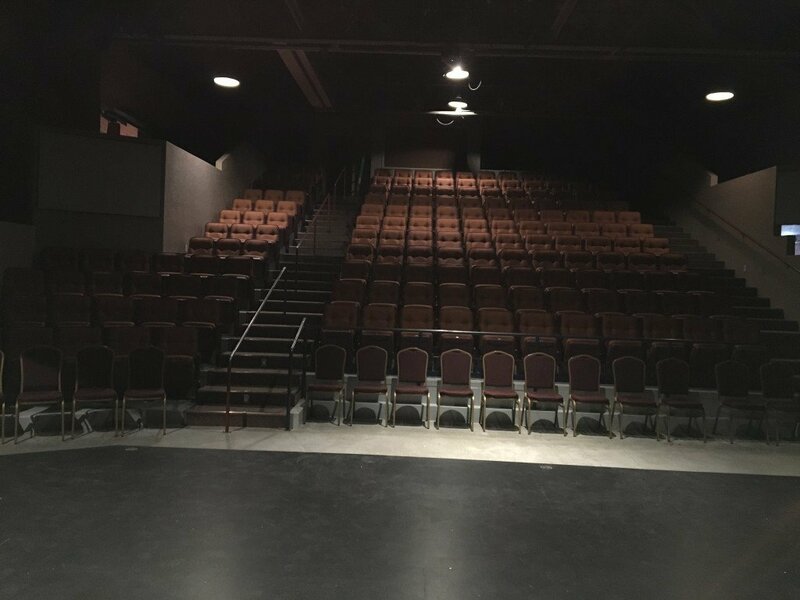 The theater got a face lift in 2016 with all new chairs, thanks to the fundraising efforts of the Friends of the Steamplant. For wedding packages, the theater is included in your rental as a back-up for the plaza in case of inclement weather. Check out our list of A/V and lighting equipment here. 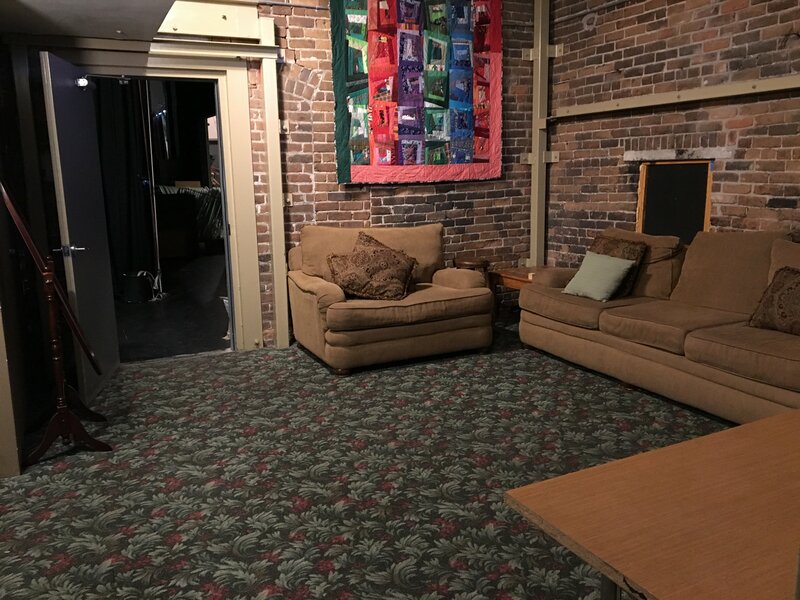 The Green Room is located adjacent to the theater’s stage left backstage area. 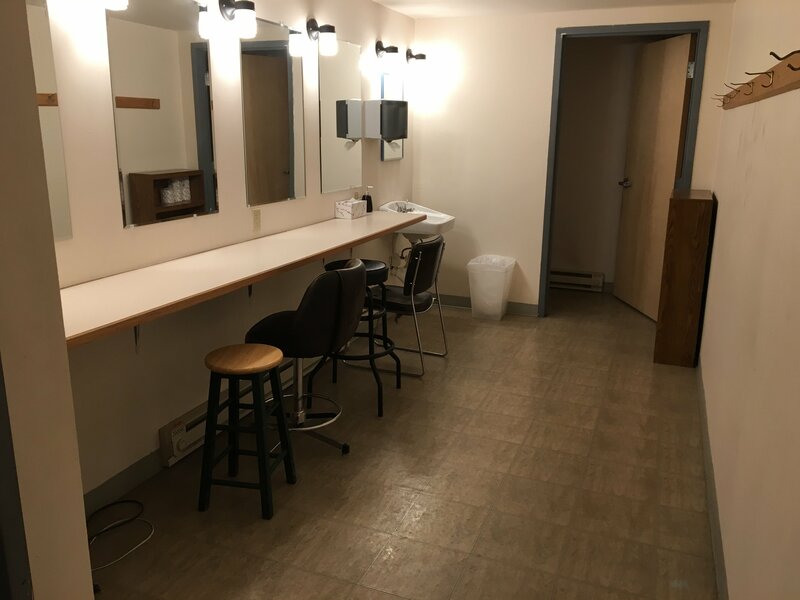 The Green Room has two dressing rooms with mirrors and bathrooms and direct access to the outside of the building. The Lobby and Paquette Art Gallery provide the right ambiance for smaller receptions and get-togethers. 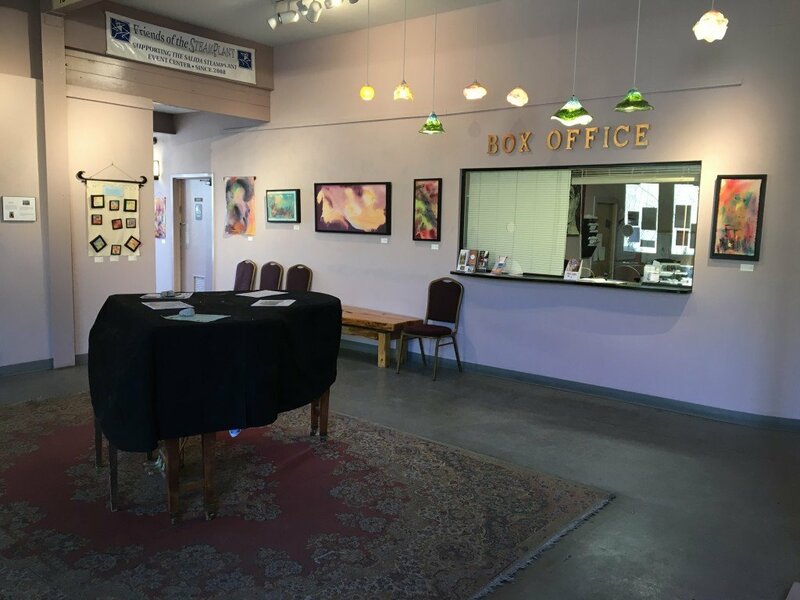 The Paquette features an exhibition by a different local or regional artist each month. Find more information about the Paquette Gallery here. 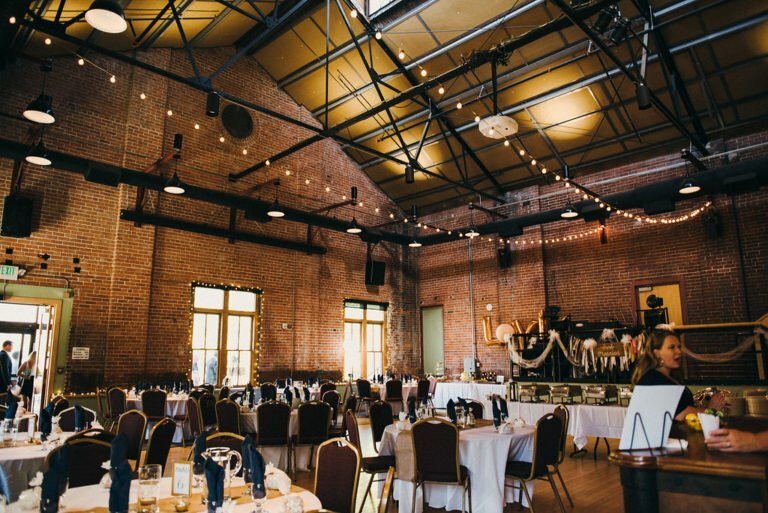 The 1800-square foot main floor and 500-square foot mezzanine provide an open and flexible space to accommodate every type of event, including weddings, galas, conventions, conferences, concerts, and parties. The space has an oak dance floor and adjacent commercial kitchen, and includes video projection and theater lighting capabilities. View the ballroom floor plan here. The 1,099-square foot Annex includes three rooms that can be separated by dividers (each room accommodates 25-40 people) or opened up and combined (up to 120 people). Please note that the amount of people that will comfortably fit in each space depends on your setup. 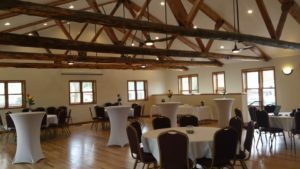 The Annex is great for events of all types, especially meetings, classes, wedding or baby showers, rehearsal dinners, or convention breakout rooms. 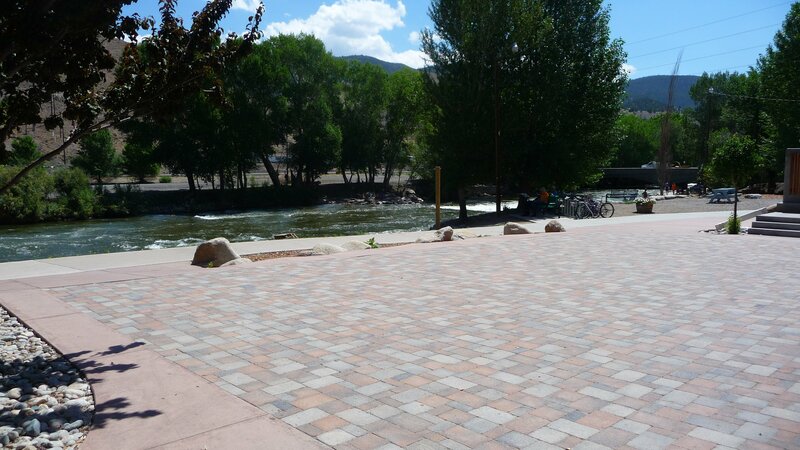 The Riverside Plaza is a great outdoor venue for weddings, picnics, birthdays, concerts, and community gatherings. We do not have outdoor tents available to rent; please contact Settings Event Rentals. The newly renovated Salida Rotary Scout Hut is located at 210 East Sackett Avenue, at the east end of Riverside Park in downtown Salida. The Scout Hut has a gorgeous Main Level, Riverside Deck, East Lawn, and Lower Level North and South Rooms. A small commercial kitchen is also available on the lower level. 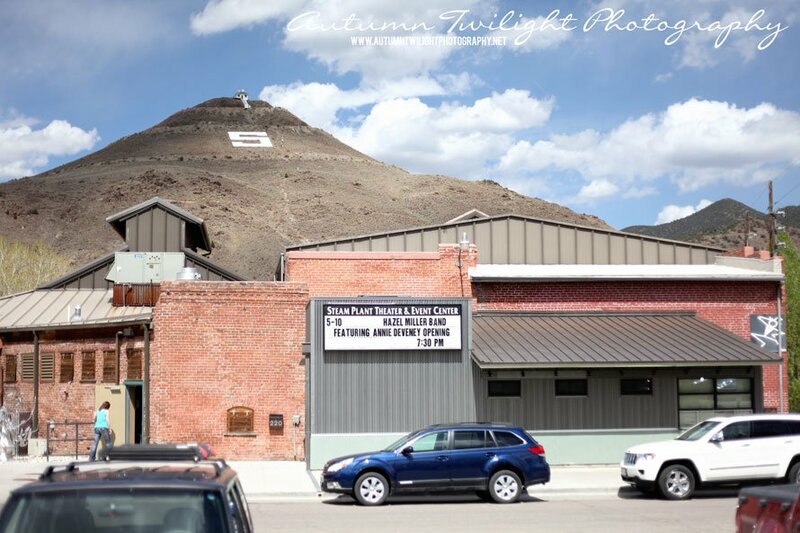 The Salida SteamPlant manages all event reservations at the Scout Hut. 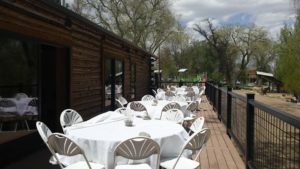 For Wedding Pricing at the Salida Scout Hut, check out the SteamPlant Wedding Website. The Scout Hut Main level is perfect for banquets, conferences, and private parties. The Scout Hut Main lower level as two rooms: Lower Level North and Lower Level South. Each room has a sliding barn door and is perfect for conferences, break-out sessions, meetings, and more. While you are welcome to hire any professional caterer you like (provided they can furnish a copy of their business license and proof of insurance). Caterers are charged 10% of their gross revenues to cater in the SteamPlant. This fee includes use of the kitchen and kitchen equipment and cleanup associated with food preparation for the event. Caterers often add the 10% to your bill to cover this cost. The SteamPlant provides your caterer with equipment that they normally have to rent, thus lowering their expense and yours! Because of the way our liquor license works, the SteamPlant provides all alcoholic and non-alcoholic beverages for all events hosted here. Absolutely no outside alcohol is allowed on the premises. However, we often get inquiries from folks who have connections to breweries or distributors, and we are happy to work with you to figure out how we can serve that keg from your employer or friend! Please contact us for more information. We can set up a hosted bar, cash bar, or a combination of the two for your event. Our staff of professional bartenders will take care of you with full bar service of our house beverages or specific drinks you choose for your event.